At the end of the month I will be leaving CKNW to take on the News Director job at News 1130. It’s an exciting move, but I’m also filled will so much appreciation for my time at CKNW. To work for Terry Schintz is to work for the best in the business. I’ve learned so much, and am proud to have been a part of this team. And while I’m ready to tackle this challenge, it also means the end to me reporting in the field. It’s a different type of journalism, and that excites me. I’m looking forward to getting to know the WX crew in the coming months. 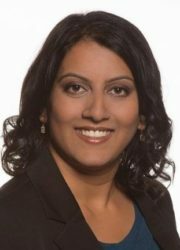 At CKWX De Silva replaces Treena Wood, who left at the end of December to take the News Director position at CBC British Columbia. She has been with CKNW since August 2014, with the title Assistant News Director. Charmaine was reviewing the news with Tim Dickers today. She was talking about the school shooting in Florida. The shootings in places of worship in the USA. The shootings in homes in the USA. Her and Timmy were outraged. I waited patiently to hear the two of them add that Canadians are not immune from being shot and killed at school, church, or home. I called the buzz line and complained that just because the “whole” truth doesnt fit the NW narrative it still needs to be mentioned that in severe gun controlled jurisdictions like Canada the killings occur. You tell ’em 13. Magnificent observation. I hope they cut right to your call from the Buzz Line. That’s some pretty good work on your part. The comparison’s between the two jurisdictions are spot on. Well done! NW is too predictable with the exceptions: Bruce, Jill, Smythe, & Campbell. I can’t stand NWs focus on CP headlines and Twitter’s probably ruined that for me. I’d rather hear more about local issues. None of them care first about true facts and second care about black lives. The tragic school shooting in Florida does not erase the fact that 17 gun shot deaths is JUST ANOTHER DAY in the South side of Chicago. Legislate away lawful gun ownership and you only see as a result a society where the bad guys have guns and the State has guns. The State can be the biggest and baddest guys out their folks! Criminals do the most gun violence in the USA and most if not all of them use ILLEGAL guns. OH YEAH! none of them will give up their guns if their government outlaws guns in the USA. But a disarmed public is more easy pickings by a corrupted State govt. Simple fact a world order of socialist, crony, globalists wants to disarm the lawful US citizens. The USA is the western world’s last hope especially President Trump’s USA for keeping any semblance of liberty, traditional western values and a more free type economies alive. I may sound crazy to some but trust me I’m not. The Western world led by the USA has been under attack by agents of socialist, crony globalists for decades and attacking lawful gun ownership is one of these sick aholes tools. Life is not perfect, nor is it fair, violence including gun violence exists and will keep doing so. Tragedies will happen and we must hold perpetrators accountable but using these facts to attack LAWFUL gun ownership in the USA in this case is a perversion of ideals and is wrong. IT WILL ALSO FAIL as the greatest men of the more modern era, the USA’s founding fathers were very good at making RIGHTS Inalienable even if the State has and tries to subvert them circa 2018. DaSilva and Dickers are just wrank VIRTUE SIGNALERS! Too many of such in today’s society, LOOK AT OUR SICK MINDED PRIME MINISTER FOR SUCH! They all cry outrage but refuse to accept that risks in life exist and a society with true liberty means that these risks will do so. Nor do they deal with real issues of violence and not just gun violence. Changing for one your Twitter or Facebag profile picture to appear to cry for victims of gun violence IS NOT VIRTUE! It’s a pathetic joke of virtue signaling and sane, intelligent people SEE THROUGH IT ALL! Aw shucks BarryT GAWLEY sherriff. Me thinks your being sarcastic barryt. Please check the post that arrived 2 minutes after yours. Very astute observations by one Paul smith. If you want to get to the production team at NW always at the end of a buzz let them know that they can edit your comment anyway they choose as long as it ends up sounding like a PCSJW moron. Another Fake News director – Charmaine and her buddies Terry, Gord, Simi, Lynda and Mike……all they do is spew FAKE NEWS……. With newspapers dying & more major moves @ The Province/Sun coming, Corus have to find a spot for Smythe/Bennett to balance their left tilt..
You suggest the obvious, “Balance”! Almost anytime CKNDP (NW) are brought up in any Forum there are scores and sometimes even over 100 Comments that criticize their Activist Left Leaning Programming. The Saddest this in all of this is the fact that it would really only take Smyth and Bennett to Balance the NW Broadcasting Day and it would more than likely bring in more listeners, raise Ratings, and it would create a Station that something to offer to almost everyone. Instead they spend virtually every On Air Hour attacking anything Conservative, B.C. Liberal, Republican or POTUS Trump. Very sad that the American Program Director Genius at NW does not recognize what harm he is doing to a once Proud Top Dog! “Snow Flakes” and Social Justice Warriors think they will inherit the Earth but I have News for them, they will in fact lose everything they have including their Democracy if they eventually have their way. I was not going to say anything about Charmaine because I could not think of anything nice to say. There were scores of times I could hear and feel Jon McComb losing patience with her silly Leftist Views when doing his so called “Top Five” News Stories. It was her sad and poorly informed commentary that was one of the reasons I only listen to Bruce, Michael Campbell, Bennett Smyth, Bruce, and Roy Green now. I choose to listen to WX and KTTH 770 Seattle. Now that WX has brought Charmaine in as News Director I am once again left with a difficult decision as once she has that position she could and more than likely will affect everything at WX and in fact she could change the Culture and quality of News Casts at WX almost immediately. BMCQ, its an evil plot. NW is like a terrorist training ground for LEFT WING SJWs. Marcello Bernardo Shelby Thom Charmaine have all gone on to other venues to corrupt the air waves. The PD at NW is saving his secret weapon to truly bring down the last bit of balanced reason in the lower mainland. DICKERTS. If you want to hear some riveting radio try tuning into the shift with DREX. Last night he ranted endlessly about a police chief somewhere near Toronto that went into a Catholic school and lied to the good christian kids about marijuana. Apparently he told the youngsters that pot was laced with fent. Drex then went on to say that catholic kids were used to being lied to as both Christmas and Easter were lies . That was the straw that broke the camels back. Personally I have tried to give drex a chance but for him to call basic christian beliefs a LIE well its a good thing he doesnt believe because he can go to anothe place he likely thinks is a lie, and rot. The only time I hear any of Drex is from about his last half hour of his Repeat from 4:30 AM on my way to the Office the odd morning. Sometimes the content is OK, sometimes I switch to Classic Rock. I am only guessing but the attack on anything Religious shows Desperation and a weak attempt at some sort of anemic “Shock Jock” Act that he feels will attract Phone Calls from anyone he can get to take the Bate. I suspect he does not get many takers. I do not listen enough to be informed about his Show but from the bit I do hear he sometimes desperate. He always seems like he is in a Speed Reading Contest, I think he might make a good Auctioneer! To me it is simply a no winner for him to denigrate Religion of any kind in any way, it is crass, tasteless, and it shows poor character and judgement. I cannot see how he expects his Anti Religious outbursts to work or attract viewers. His outbursts might attract phone calls from Advertisers to Station Management though. No Advertisers regardless of their Religious beliefs want to alienate any Listener of any kind. Actually 13, That’s not what I said at all. Feel free to go back and listen to the tape. I said that as adults around Christmas and Easter we perpetrate the biggest lie in human history to kids…(the non-existence of Santa & the Easter bunny) which I avoided actually saying.. But I clearly insinuated it. There was nothing anti-religious or anti-Catholic about what I said. and I assure you I am not anti-religion. drex , thanks for clearing that up . Your subject matter was high school kids and your reference to a bigger lie told to that age group about Christmas and Easter puzzled me. Teenagers for the most part know that Santa and the rabbit are not real. At the late hour of your broadcast I thought , not to many kiddies up so I drew the conclusion that the big lie was to do with birth, death and resurrection.